More and more individuals are growing older. And while many seniors are successfully aging in place as a result of their family caregivers providing them with home care, there are still a select few who refuse to acquire home care services in Savannah Georgia for the main reason that they want to retain their independence. But while their desire to remain independent is understandable, you may need to convince your aging loved ones to accept in-home care if they are incapable of or are facing difficulties in caring for themselves. Explain to your loved ones the advantages that they can get from having a home caregiver around to assist them. One of the benefits that they can get is that home care solutions can help your loved ones age gracefully in the comfort and safety of their own homes. Instead of having to go to a skilled nursing facility or an assisted living community, your senior family members can remain at home and spend far less money with quality home care services. In-home assistance, after all, does not have to compromise their independence. 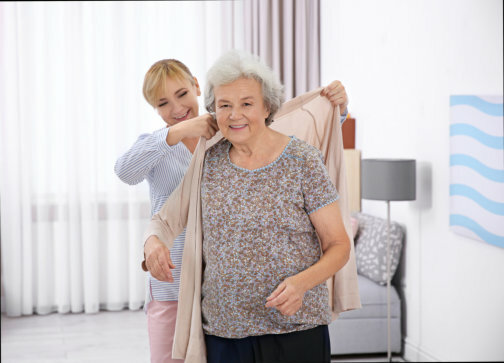 Or if they are concerned about a stranger providing them with intimate care, you can suggest that they acquire the services of a caregiver who can assist them with noninvasive services like housekeeping, transportation, and grocery shopping. Focus your family members’ need for quality home care around the benefits that you yourselves can get. Another approach is to explain to your elderly loved ones that having a caregiver to provide them with dependable personal care in Georgia gives you peace of mind, especially for those times when you aren’t available to assist your loved ones. Instead of making them feel like they stand to lose their independence, present the idea as you needing help as well. This entry was posted in Home Care Help and tagged family caregivers, home care solutions, in-home assistance, in-home care. Bookmark the permalink.